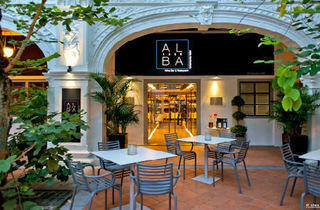 Duxton’s newest Italian restaurant Alba 1836 has snagged a lovely intimate spot nestled at the end of the area’s iconic cobblestone street. Yet hidden away as it is, the place is already fully booked most nights, packed with in-the-know execs, many of whom recognise chef consultant Alessandro Frau from his well-known Italian joint Acqua in Phuket. Together with financial backers Matteo Trabaldo Togna and Cm Shih, Frau has put together a sleek fine-dining project – outfitted in a palette of sophisticated grey and black – that is fancy without being too stiff. Though togged in crisp shirts and smart suit vests, the staff are also friendly and accommodating, not in the least bit snobby. The food is likewise a balance of laid-back and polished. Their satisfying potato and parmesan soup ($25) boasts a rustic chunky texture but is topped with an elegant sous vide egg – a stellar combination. More comfort can also be found in the exemplary risottos. The saffron risotto topped with sea urchin, stracchino cheese and caviar ($40) is a particular standout offering a mix of creamy, salty and aromatic. 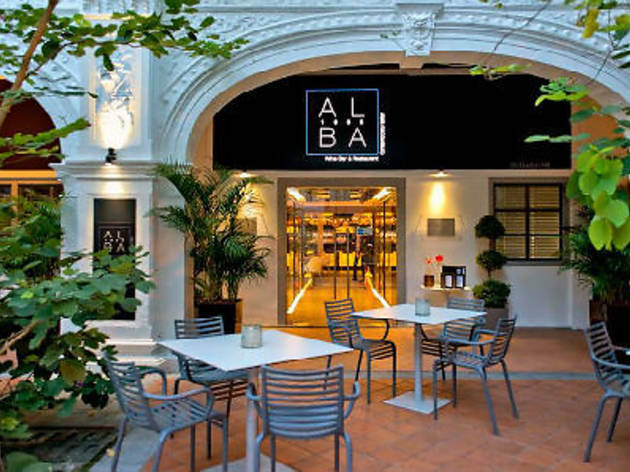 Paired with their top-notch selection of Italian bottles (from $65) categorised by region (think Fruiuli, Veneto, Abruzzo) – check out the options from their wine cellar-flanked entrance – the dining experience here is hard to fault. Our only gripe is that the prices are pretty steep, though there’s always the option of the $35 lunch sets. But the clientele that filled the room on our visit surely don’t seem to mind. And if you’re looking to impress, there are few better options of a work dinner with understated polish.